!! 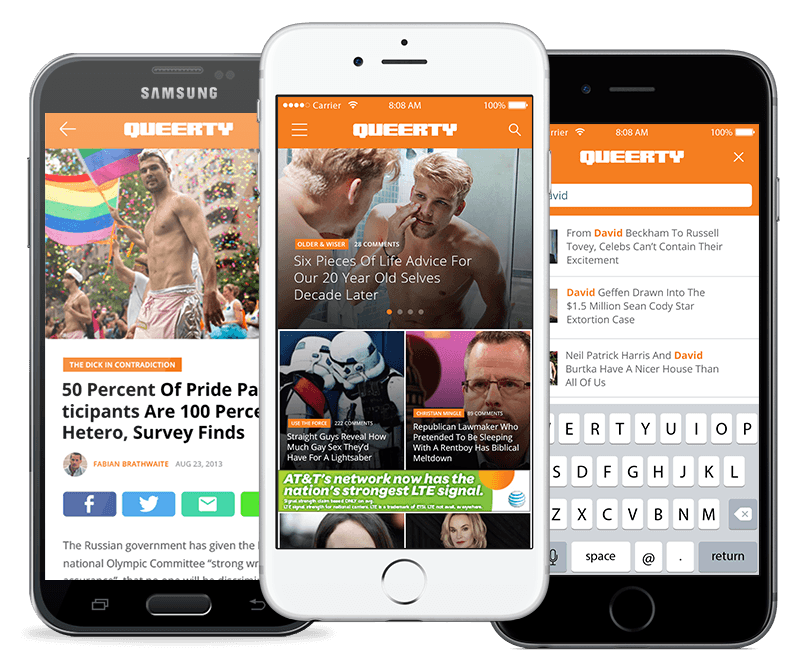 OMG, meet Queerty’s new app !! Our friends at Queerty have just released a new way for you to stay up-to-date with the breaking gay news of the day: a mobile app! From feature stories to expert analysis of Rupaul’s inner monologue, you are but a couple taps away from Queerty’s most popular content, including reader favorites like Dragaholic, Morning Goods and Queerty Ever After. You can also comment and share right from the app. Download it today for iPhone or Android. 2 Comments on "OMG, meet Queerty’s new app"
Queerty is actually my favorite site. It sharply written, funny, provocative and it makes me think in new and interesting ways about our world. Not surprised it’s so popular–sometimes I can’t stop clicking! Very pleased to be able to access it on a new app. No thanks. I stopped following Queerty because of all the fluff articles, it’s teenybopper-fan-magazine theme and it’s myopic focus on twinky celebrities to the exclusion of almost anything else. An app isn’t needed for that drivel. I’ll stick with OMG and Towleroad for a bit more grownup media.